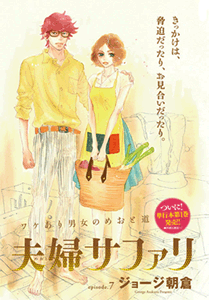 Summary: Jo is your average manga artist slash divorcee, a dime a dozen in Japan. At least that’s what he’d like the outside world to believe. But his editor Nichika knows his terrible secret, a secret which she threatens to expose unless he puts a ring on her finger. Wondering if you're still doing this project? Yes we will be releasing chapter 1 this month with more along the way.